Hal dons his space helmet for this talk on Auriga. This week on Looking Up Hal reminds us to wear our helmets and also chats about the Starfish Cluster, located in the constellation Auriga. In this safety-conscious age, it’s always wise to wear a helmet when riding a bike, skiing, or driving a chariot. So maybe it’s not surprising that high in the southern Colorado sky right now is the pointed helmet of a charioteer, the constellation Auriga (or-EYE-gah). Looking Up: And Forward to 2017...! Hal conveys information on Alnitak, a star in Orion's belt. 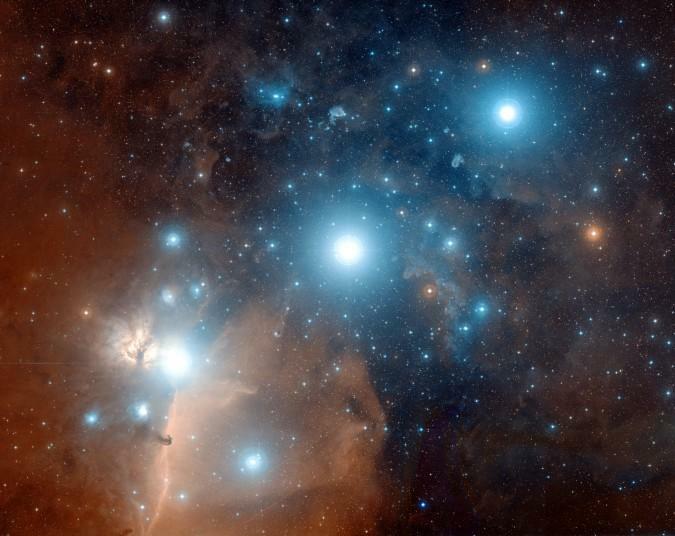 We start the new year on Looking Up by taking a look at Alnitak, a star in Orion's belt. Men of a certain age often need a good, tight belt to hold up their pants. 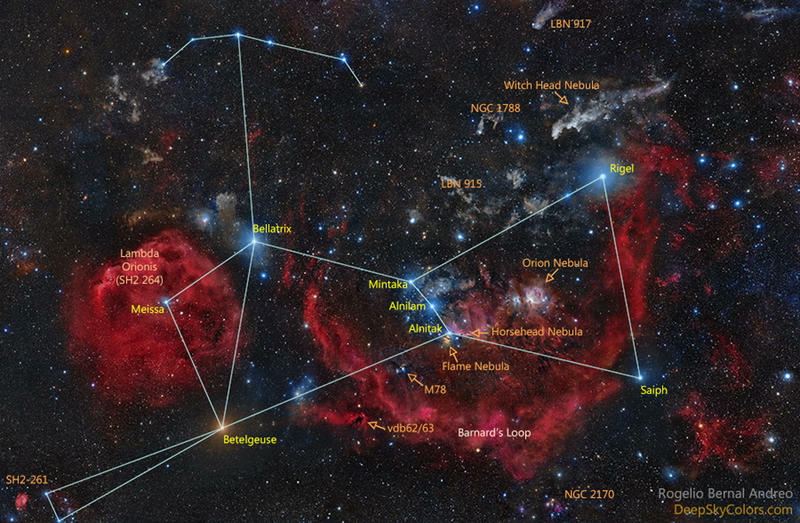 The constellation of Orion the Hunter is no different. That famous grouping of stars now dominates the Southern Colorado night sky, and as you look at Orion, you notice that he has a belt of three stars across his midsection. From those stars, the great Orion Nebula seems to hang down like a sword. This week on Looking Up guest host Bruce Bookout sheds light on the longest night of the year and how it's celebrated by other cultures. Our Colorado nights are getting deep and as we get to the longest night of the year every culture celebrates the winter solstice differently. 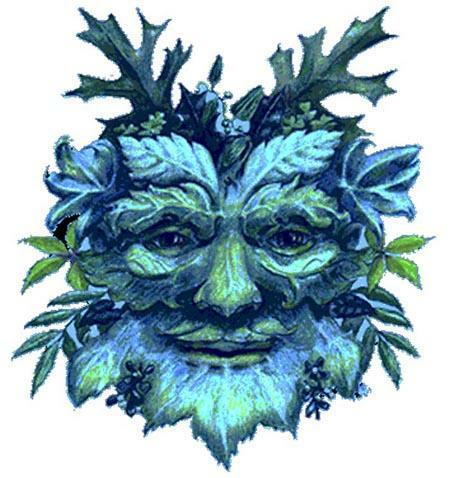 Solstice comes from latin, meaning “the sun” and “to stand still”. Because the winter solstice is also an event that marks the return of the sun’s presence in the sky, it has been connected with renewal, birth, sun gods, and life-death-rebirth deities. There are traditional celebrations that give people hope sunny days lay ahead. Hal is bullish on the occultation of Aldebaran. This week on Looking Up Hal is right on target with this description of the moon occulting Aldebaran (the eye of the bull). 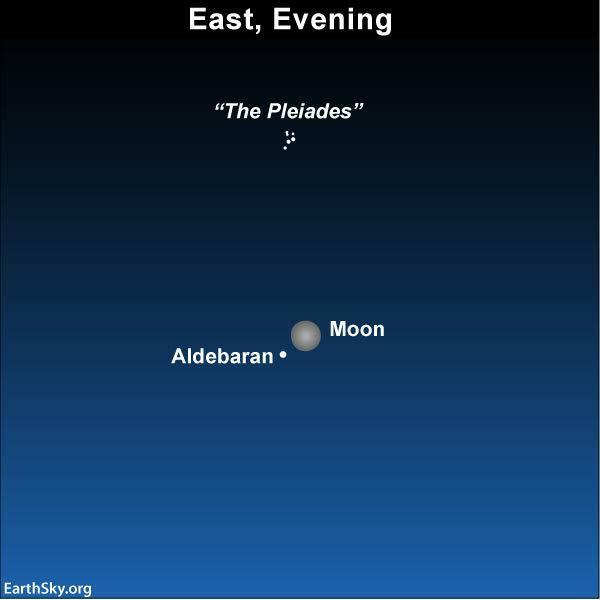 About a year ago we talked about a very interesting and very bright star in the southern Colorado sky, Aldebaran. The brightest star in the constellation Taurus, Aldebaran is the 13th brightest star in the night sky. This bright red star is the bright red eye of Taurus the bull. And it’s visible nearly all night during the winter, unless of course, something gets in the way. Hal gives Meissa a ringing endorsement. This week on Looking Up Hal takes us inside the head of the hunter (Orion). Heads up, everyone! Today let’s talk about a head that’s up. And by up, I mean a star visible in the southern Colorado sky right now, and by heads I mean the remarkable star that makes up the head of the wonderful constellation of Orion the Hunter. 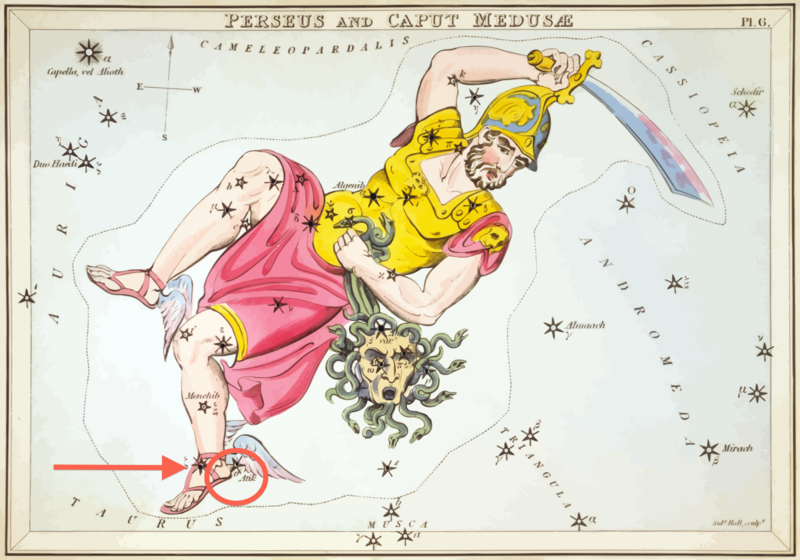 Guest host Bruce Bookout enlightens us on how various cultures view the "Queen" of the constellations - Cassiopeia. 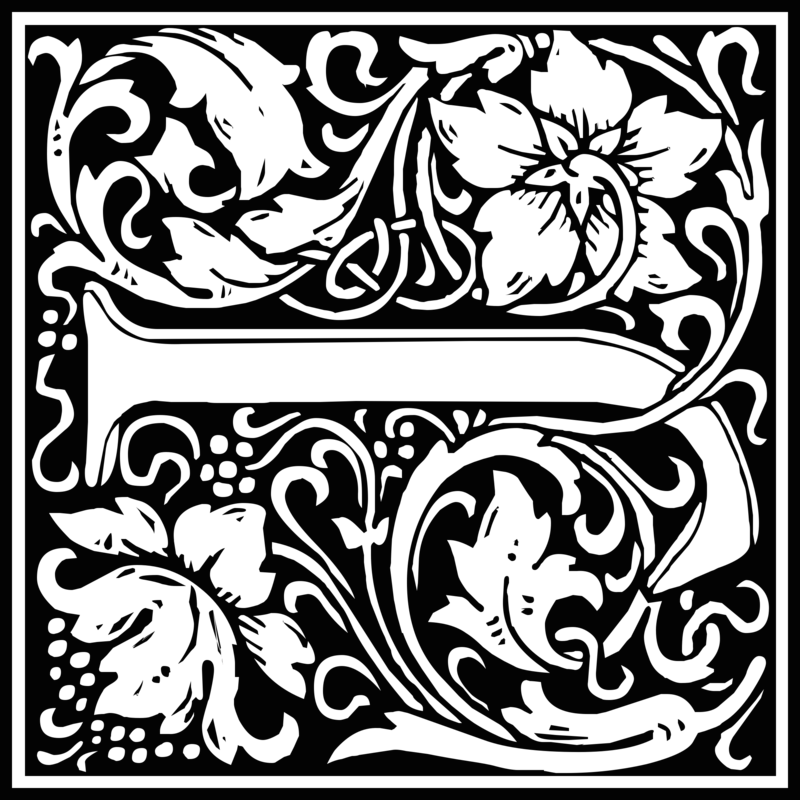 This week on Looking Up guest host Bruce Bookout regales us with various mythologies surrounding the queen of the night sky, Cassiopeia. Rising high in the autumn skies of Southern Colorado is the reigning queen of the sky - Cassiopeia. 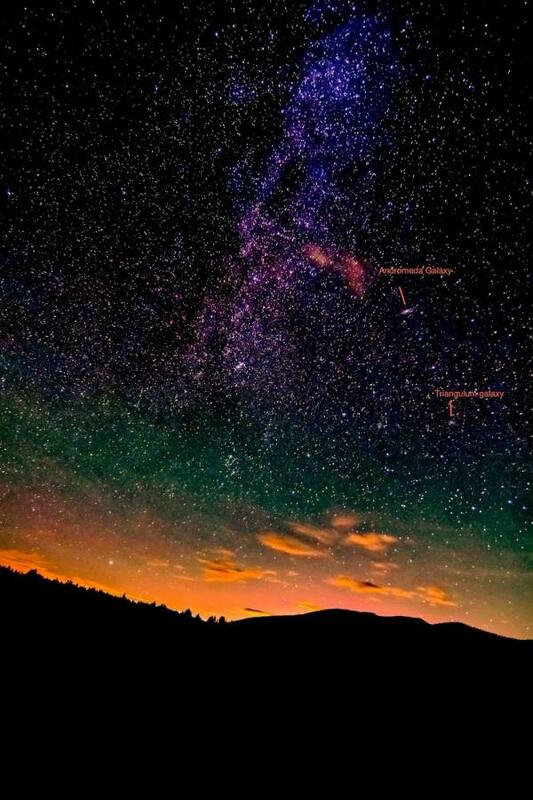 Take a look after sunset to the northeast for a pattern of stars resembling a “W”. Hal opens up about M35. 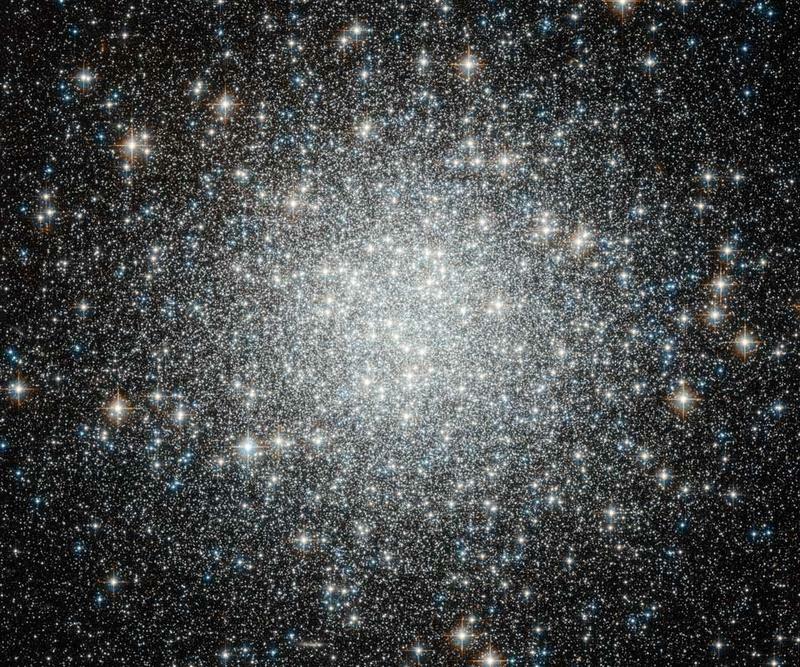 This week on Looking Up we learn about yet another object Charles Messier looked down on - the open star cluster, M35. Do you like to look at babies? What about really pretty babies? What about really pretty babies that are only hundred million years old? Well, have I got a star cluster for you – Messier object number 35. And you can find it in southern Colorado skies right now, a little bit to the east of the left foot of the right-hand twin in the constellation Gemini. Hal sculpts a discussion on a "new" constellation. This week on Looking Up Hal informs us of a relatively 'new' constellation. It's called Sculptor. Today let’s do something a little different. In past episodes of Looking Up, we talked about bright and shiny things up in the sky. We talked about constellations like Orion and Ursa Major, that shine brilliantly in the southern Colorado sky. But today let’s talk about the constellation you likely have never heard of, and very likely have never seen, the constellation known as Sculptor. 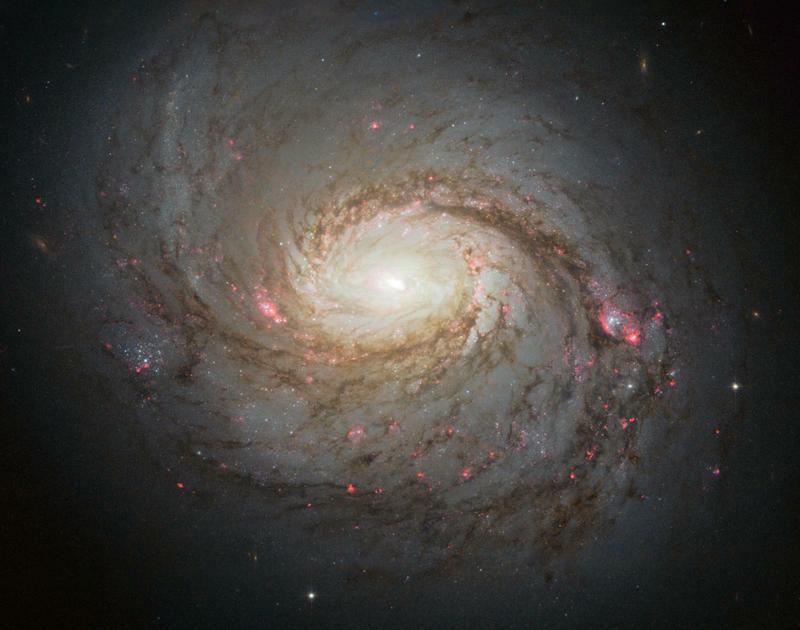 This week on Looking Up Hal speculates on why a strange galaxy (M77) is in such a hurry to leave the company of the Milky Way. Is it something we said? Why are you leaving? You know the phrase, “keeping your distance?” Well, there is one galaxy that seems to be taking this idea to a whole new level. The 77th object in Charles Messier’s famous catalog of interesting things in the sky, is a galaxy in the constellation Cetus, visible in southern Colorado skies right now. On this Halloween edition of Looking Up we hear about a vampire star. The leaves are mostly off the trees, pumpkins abound, and the spooky holiday of Halloween has arrived. Tonight the streets will be filled with all manner of ghosts and goblins, and probably quite a few Harry Potter’s. But if Count Dracula arrives at your door, you might let the little one know about a far bigger vampire -- the vampire star SS Leporis! This week on Looking Up we learn about Ceres, an object first thought to be a planet, then designated an asteroid, and now considered to be a dwarf planet. Can I be Ceres for a moment? I want to talk to you about the planet, I mean asteroid, I mean dwarf planet, visible in southern Colorado skies right now. In 1801, a Sicilian astronomer went looking for what was thought to be a missing planet between Mars and Jupiter. 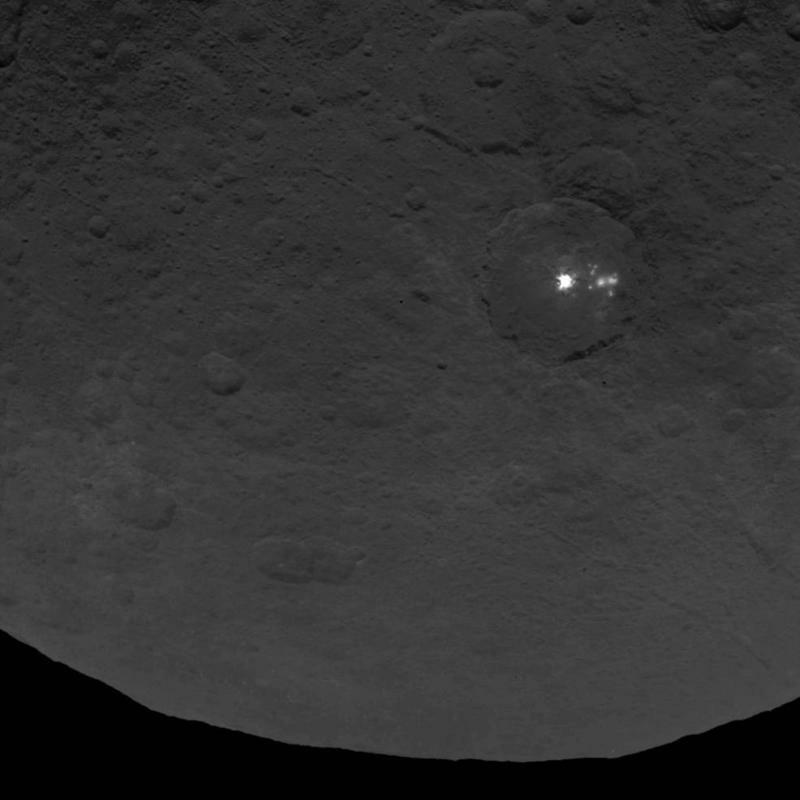 And there he found the object we today call Ceres. This week you can look up to see the Orionid Meteor shower. 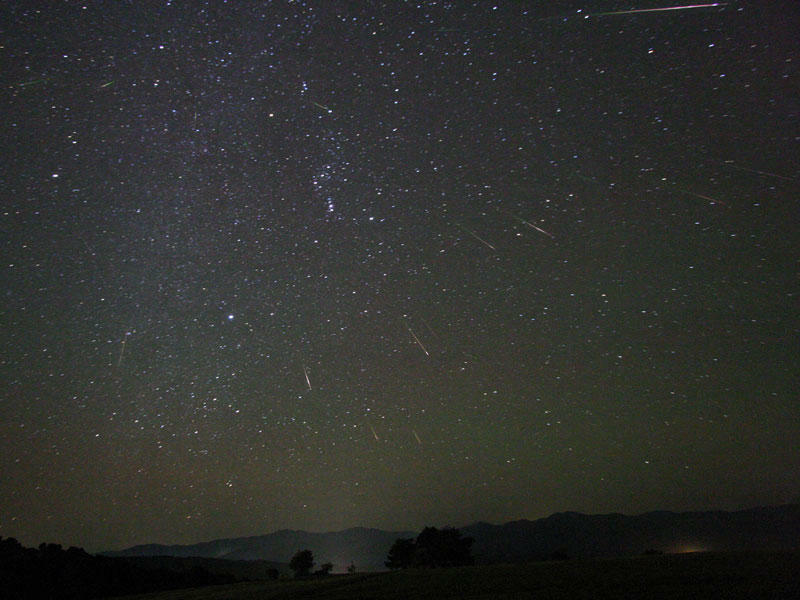 Today I want to tell you about a very special meteor shower which is going on now, and will peak the night of October 20-21st, the Orionids! 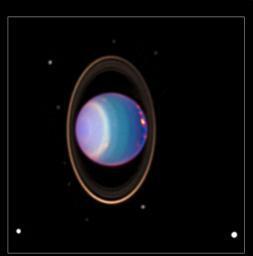 This week on Looking Up Hal tells us exactly where to look to get a peek at the planet Uranus. Regular listeners to Looking Up might remember that we talked about the planet Uranus about a year ago. And we call it the planet Uranus, because we are not 12. And as we have swung around the Sun again, Uranus is once again perfectly positioned in our night sky for viewing, if you know where to look. Hal gets down and nerdy. This week on Looking Up we take a peak at the Atik. I know you won’t believe this, but every now and then astronomers can come off as a tiny bit nerdy. And today’s edition of Looking Up lets us delve into the truly nerdy, at a couple of levels. Because today I want to talk to you about the very interesting star named Atik. This week on Looking Up Tristan tells us the current travel path of the planet Mercury. 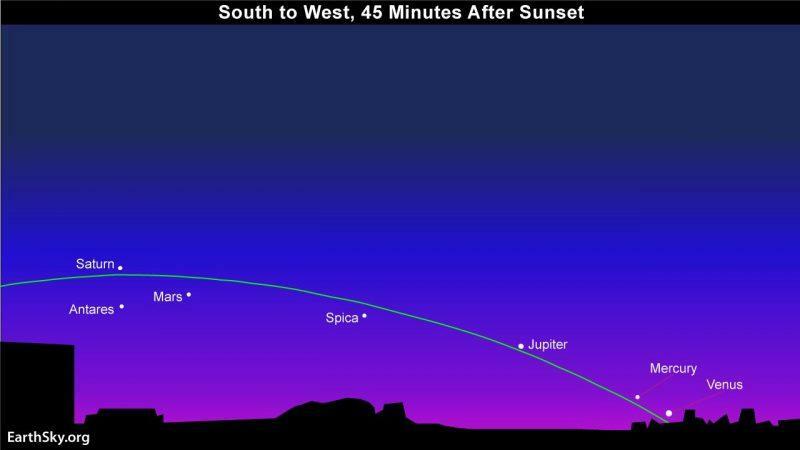 If you are an early riser, one of the most elusive planets in our solar system will be putting on a show this week. 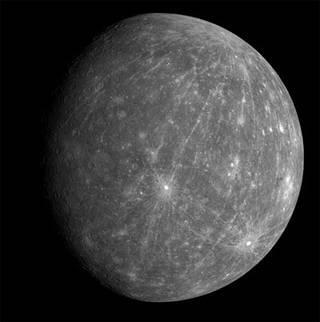 The planet Mercury, the innermost of all the planets, is remarkably hard to see. Hal triangulates a small inconspicuous constellation in the northern night sky. This week on Looking Up Hal gives us the very latest hypote-news on a constellation by the name of Triangulum. We talked before about the interesting shapes of constellations in the night sky. Some look like their name, like Scorpio the scorpion. Others, like Ophiuchus, looked nothing like their namesake. But there is one small constellation in southern Colorado skies right now that you might recognize from both its shape and its name – Triangulum. Bruce ladles out information on the big dipper. This week Bruce gives us different cultural perspectives on the constellation Ursa Major (the Big Dipper). The skies of Southern Colorado were not always seen the same way as we do in modern times. If you take look at our evening skies this week to the northwest after sunset, you will see the familiar group of stars known as the Big Dipper. The Big Dipper is an asterism contained in the constellation Ursa Major – the greater she-bear. Hal speaks of yet another stellar planetary conjunction. This week Hal lets us know about the conjunction of Mars and Saturn. The summer of 2016 is a particularly good one for anyone interested in planets. All the naked eye planets are visible, and the nights are warm enough that we can stay outside without getting too uncomfortable. Even binoculars will let you see the red surface of Mars, the stripes on Jupiter, and the rings of Saturn. Hal chats about an early evening conjunction. 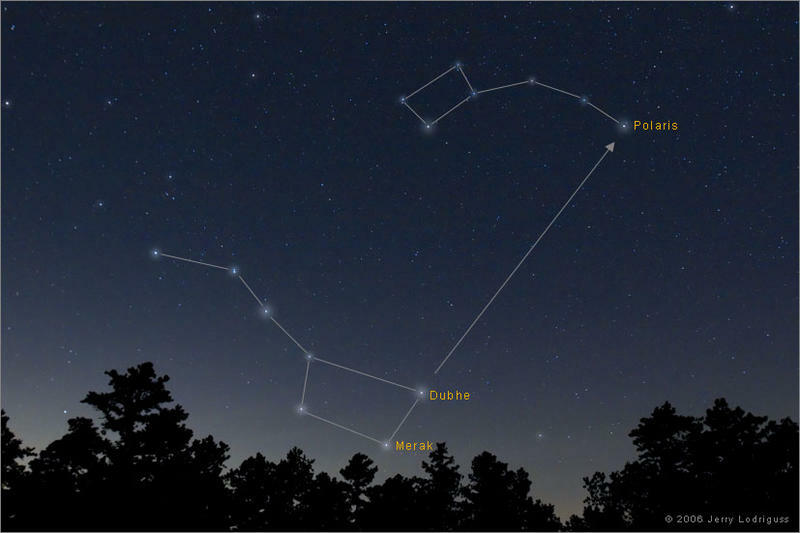 This week Hal tells us about a stellar planetary conjunction in our early evening sky. August 2016 is shaping up to be a pretty interesting month for people who like looking up. A number of unusual and lovely things are happening up there, and the warm days and nights will hopefully cooperate in letting you go outside and take a peek. Bruce gives us the planetary rundown. 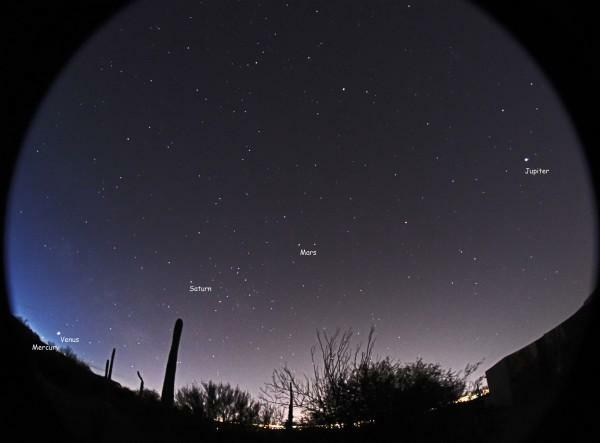 This week Bruce enumerates on the planets currently visible in our night sky. 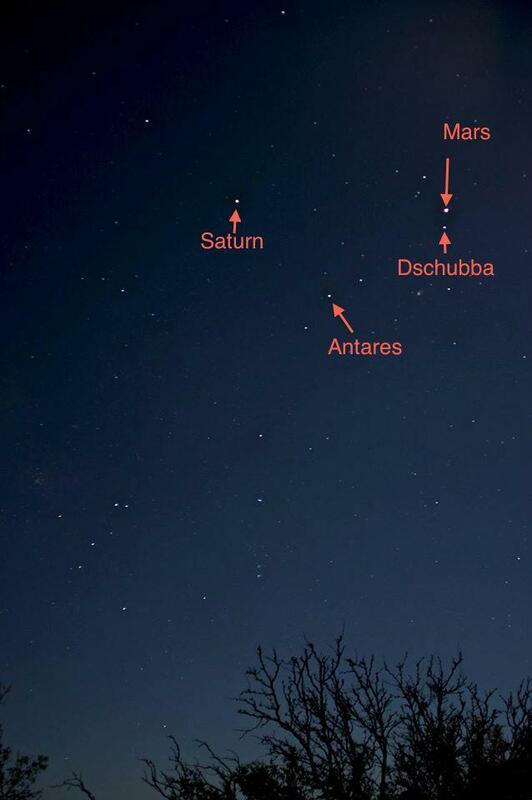 As residents of Southern Colorado we are afforded a spectacular view for the next several weeks of six naked eye planets in our evening skies. Starting shortly after sunset you can tour the original planets known to our ancient ancestors. 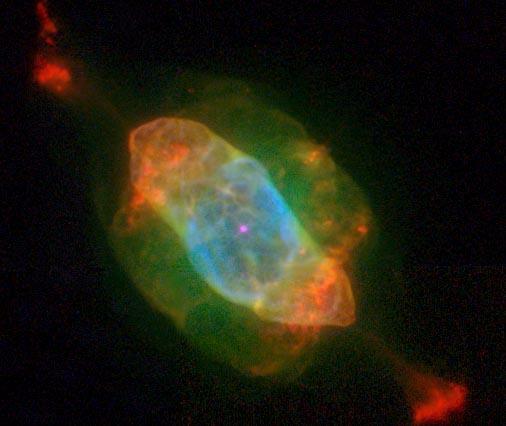 This week Hal sheds light on the Saturn Nebula. How many Saturn’s do you see in the night sky? Well, right now, the answer could be two! We talked recently about the beautiful and awe-inspiring planet Saturn, now high in southern Colorado skies. In many people’s eyes, it’s the most beautiful of all the planets, Saturn’s gorgeous system of rings make it appear oblong in binoculars or small telescopes. Hal discusses the big, bright, strange supergiant star Enif in the constellation Pegasus. Enif of a good thing is visible in southern Colorado skies right now. 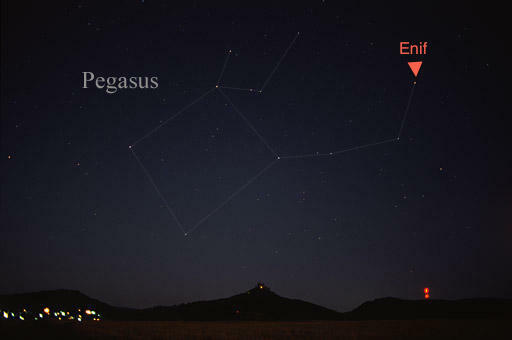 And by Enif, I mean a remarkable star in the constellation Pegasus. Enif is the brightest star in that winged horse. It’s a fairly bright point of light, in otherwise fairly dim area of the sky, but what makes it special is what’s happening 670 ly away from Earth. 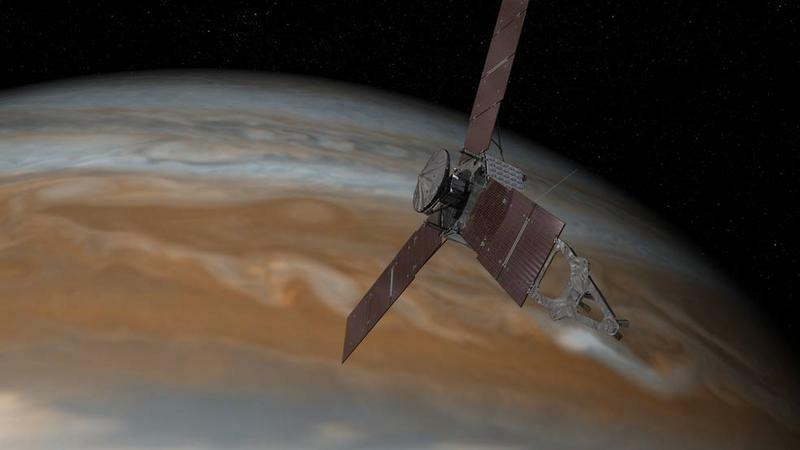 This Independence Day Hal briefs us on the Juno Mission to Jupiter. It was just about one year ago that the New Horizons spacecraft flew past Pluto. That wonderful gizmo is still returning great scientific information and stunning pictures from 3 billion miles away. This Fourth of July, NASA will do it again, as the Juno spacecraft will arrive at Jupiter, the largest planet in the solar system. Dschubba "... one star out of four"
Hal discusses Dschubba, a star in the head of the Scorpion. This week Hal discusses Dschubba, a star (or 4) located in the head of Scorpius the Scorpion. There are 88 constellations in the night sky, counting those in both the northern and southern hemispheres. Many of them look nothing like their names. Indeed, some of them are quite a stretch - I’m looking at you Ophiuchus. Sure, you look like a snake bearer. But there are some that really do look like their namesake, and Scorpius the scorpion is one of those. 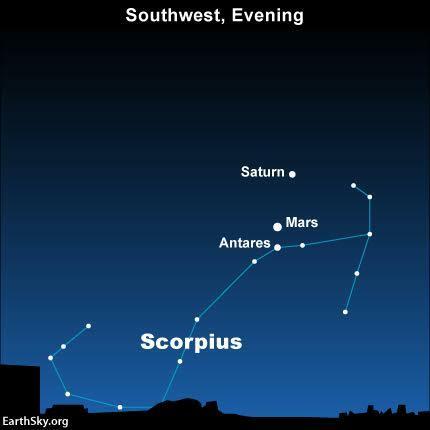 With stars that seem to line up to make a body with a curved tail and stinger, and other stars that appear to line up to form the head and pincers, Scorpius looks like, well, a scorpion, and you can see it all summer in the southern Colorado sky. 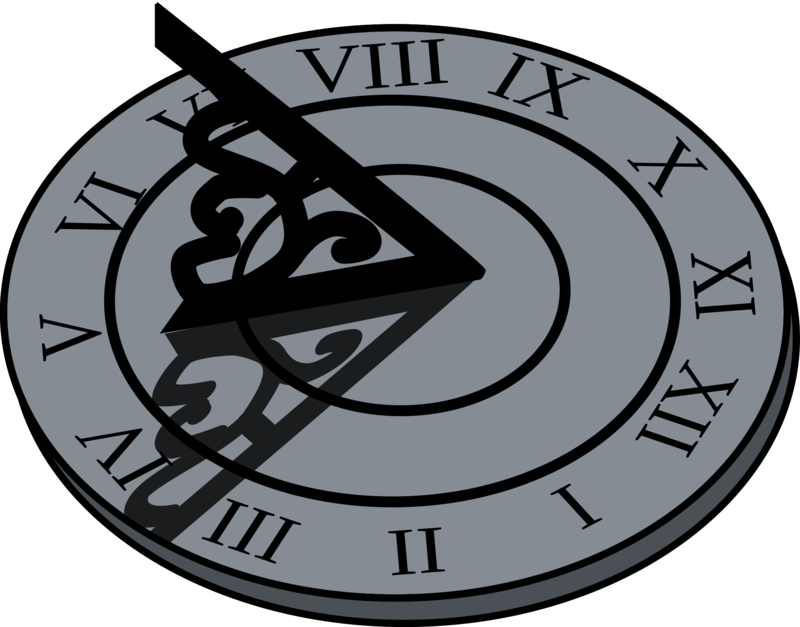 This week Hal talks about the Summer Solstice. This year, 2016, the longest day of the year, June 20th, the summer solstice, occurs on the same day as a full moon. What is the cosmic significance of this astronomical coincidence? Sorry, absolutely none. Hal's discussion has a nice ring to it. This week Hal revisits Saturn. We’ve talked before about things that make you say wow, when you see them in the night sky. For lots of people, including lots of astronomers, the most wow – inducing object of all is visible to southern Colorado listeners right now – the amazing planet Saturn. This week Hal lets us know what that bright red object in the night sky is. What’s bright and red and pretty darn close right now? Southern Colorado listeners can see the answer in the evening sky right now. The beautiful crimson planet -- Mars. 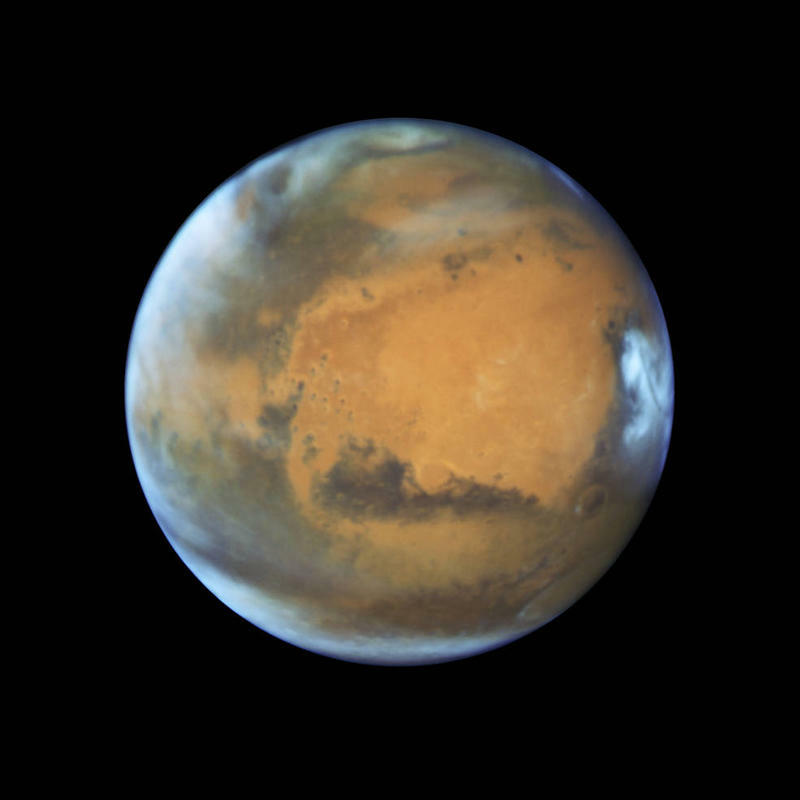 Mars is just about as bright as it ever gets in our sky, and is as close as it’s been in the last dozen years. It’s definitely worth a look, and even small binoculars may show you something remarkable, though a small telescope will do the best job. Hal passes on his knowledge of Dubhe. This week Hal overflows with information about Dubhe, a star in the Big Dipper. 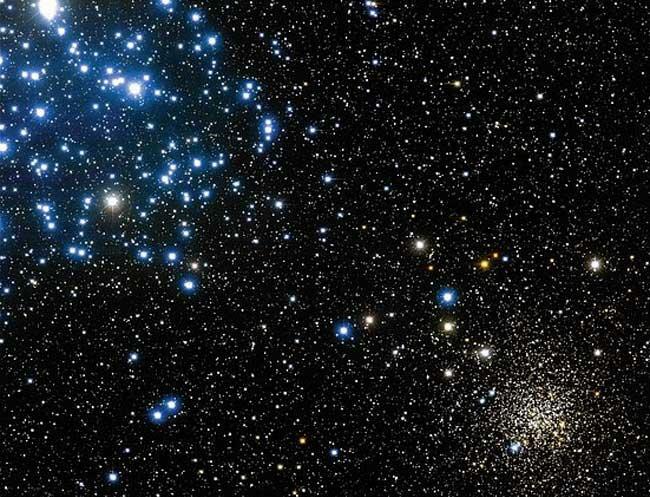 The most famous constellation in the sky, for most people, isn’t actually a constellation. The famous Big Dipper is technically part of a larger constellation, Ursa Major, or the great Bear. The dipper part is what we call an asterism. 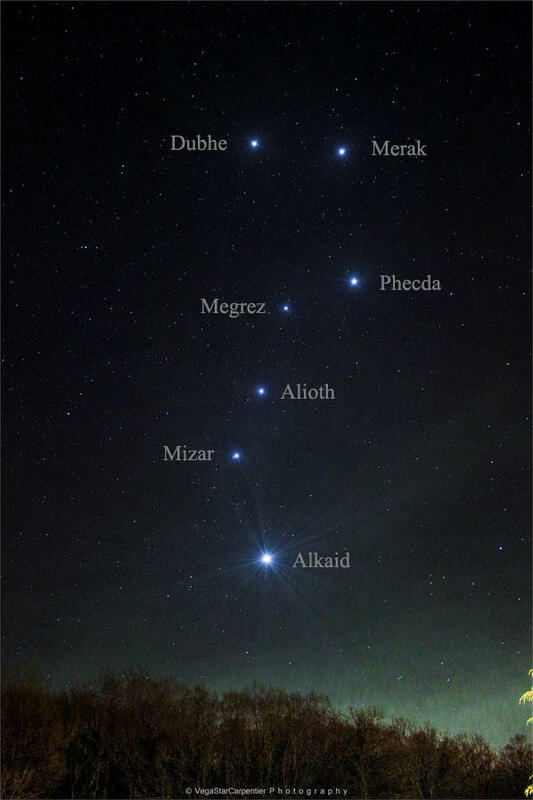 An asterism is simply a group of prominent stars, often with the nickname, such as the Big Dipper, that is in turn part of a larger constellation. 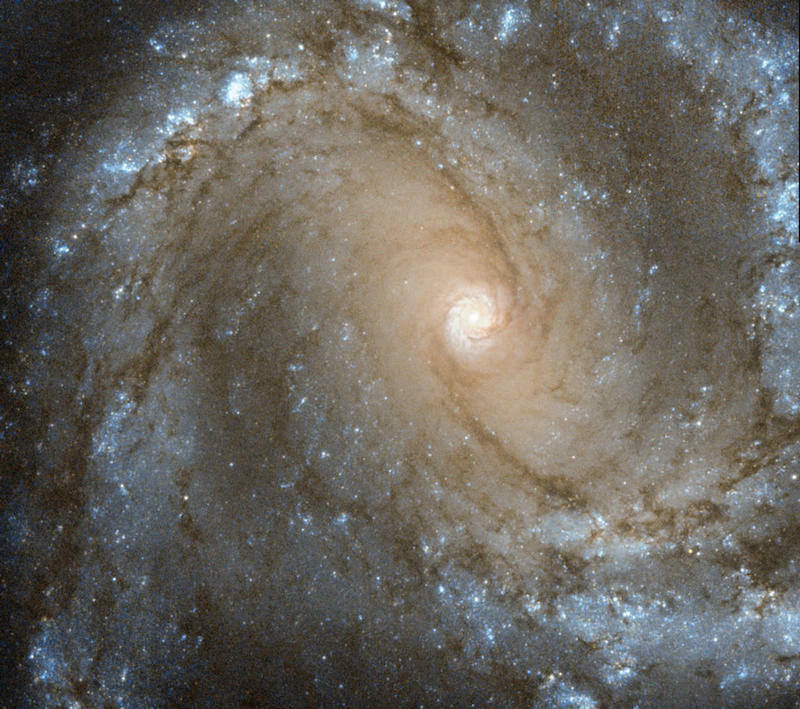 This week Hal tells us about another Messier object - M61. We talked before about French astronomer Charles Messier and his famous list of astronomical objects. Remember that Messier was obsessed with finding comets, and kept getting irritated by seeing things that he thought were comets that turned out to be, well, not comets. So we can imagine his excitement on the night of May 5th, 1779, when he spotted what he was quite sure was a comet in the constellation Virgo. This week Hal tells us about a relatively close star - Denebola, which marks the tip of the lion's tail in the constellation Leo the Lion. 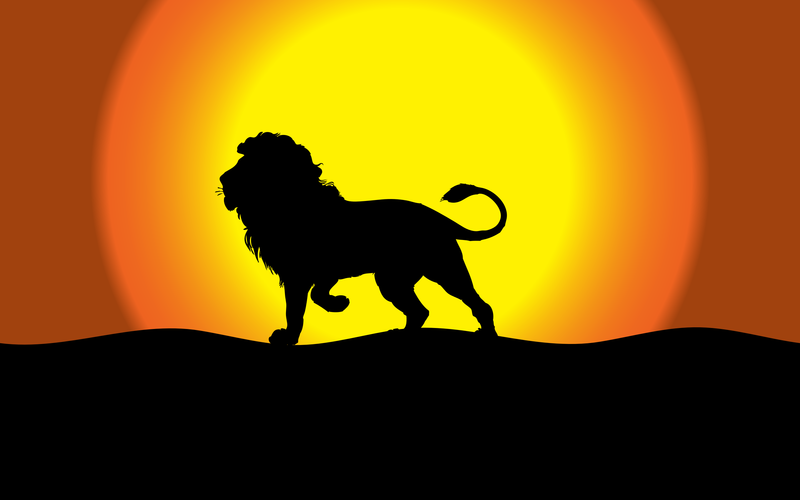 You’ve heard the expression, “catch a lion by the tail?” Well, in the southern Colorado and northern New Mexico skies, you can do that right now, at least metaphorically. The constellation Leo the Lion is prominent in our night sky right now. We talked about the very interesting and unusual star, Regulus, located at the head of Leo the Lion, but today let’s talk about the other end, and the equally interesting star Denebola.